pillboxesinsuffolk.blogspot.com is website a bit like derelicte except it documents defences in Suffolk remaining from World War II. Earlier this month they visited the radar station at Darsham. How do these bits of ephemera survive? 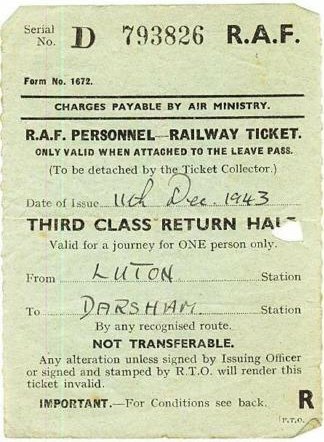 A world war two RAF rail warrant from Reading to Darsham. Subsequent to the murder last month at what was the Marlesford Bell all of the ammunition removed was inert. The driver involved in a fatal accident on the Aldeburgh Road near Friston has been released on bail. A man has been charged with the murder in Marlesford last Friday. A man has been arrested on suspicion of murder after a woman was found stabbed in a Marlesford house this morning. Suffolk police have thanked the public for their help after the fatal collision in Fressingfield last month. Sounds like dodgy driving near Friston on the Aldeburgh Road? Nicola Hobbs the editor of the impressively consistently laid out Grundisburgh and District News (consistent layout does make things easier on the eye and increase the info transfer) has got a new email address. A man with life threatening head injuries was found in Monk Soham last night. Bicycle stolen from a Grundisburgh garage, a man using a phone box in Benhall has his bag stolen and criminal damage in Walberswick , it's not safe to walk the streets! Except as it's Suffolk there aren't that many streets to walk. 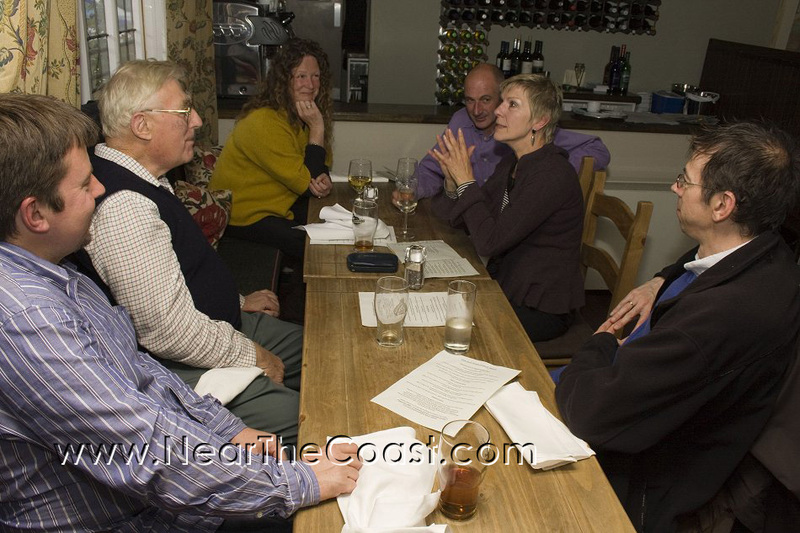 near the coast builder recommendations wanted in Badingham; charity box pinched in Walberswick and a telly stolen in Darsham house break-in. A rucksack stolen at the Westleton flower show and more of the traditional vehicular damage in Framlingham. Tools stolen from a Marlesford barn. A 21 year old motorcyclist died after hitting a telephone pole in Hasketon yesterday afternoon. A 17 year old female was sexually assaulted around 1am this morning in Hasketon. Another cat shot with an air gun, this time in Middleton. The Limes Hotel at Needham Market is a surprisingly large warren of a place with an equally large car park at the back and a fig tree; status normal last night, The Outlaws rocked. Tomorrow night in Monk Soham an open garden that serves canapés and wine! Open day at White House Farm, Hasketon at this very moment. A trailer pinched in Marlesford whilst still attached to the towing vehicle and don't know if it was Brandy Billy coming up the Deben in the Black Pig and doing his pirate thing but two dinghies stolen in Woodbridge. Around 100 litres of diesel was siphoned from a truck parked at Blyth Hill in Letheringham between 9:30pm on Monday 1 and 5:15am on Tuesday 2 June. If you can help call PC 1510 Lawrence at Sax on 01986 835300. Suffolk country life real and dirty at White Farm Hasketon today with a Willow Weaving Workshop. Of course it's the Framlingham Gayla this bank holiday Monday but other stuff going on this weekend includes a coffee morning 10am tomorrow morning at Ashfield village hall in aid of hearing dogs and a ladies' Midnight Walk in Ipswich organised by the the St Elizabeth's Hospice. #socialsaturday near the coast; flower festival, ploughman's and cream teas at St Mary's, Worlingworth today, tomorrow and Monday, the 20th birthday this afternoon of the Cransford Christian Fellowship church destroyed in the 1987 hurricane, and a quiz with ploughman's and bar tonight at Earl Soham VH more info Jill Whittaker 01728 684802. Marvellous! What would Hank say? Seven guitars stolen in Wangford. Guest speaker at Monday's Letheringham Mardles is sculptor Laurence Edwards, this his piece Creek Men taking a river trip. Wine, nibbles and in aid of the church fabric fund. Work has started in Bruisyard on a new village hall and how pleasantly traditional, a village hall not a community centre. More info here. 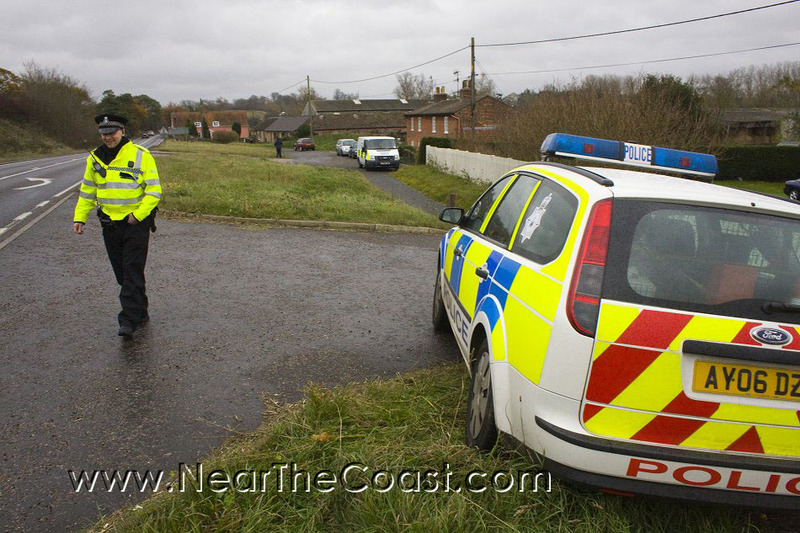 A spate of car break ins; Snape, Walberswick and Westleton. A period costume encouraged Swinging Sixties Night in aid of FESPA at Wangford community centre this Saturday (no, we're not sure either whether the 60s are the decade or the swingers). A pathetic burglary in Parham yesterday, over a 100 piglets stolen in Walberswick and there's something about Friston and oil tanks. More than 500 litres of heating oil stolen in Church Street, Friston. In Stonham Aspel last month police recovered more than 300 items stolen from the Leiston, Ipswich, Stratford St Mary and Essex areas over the past couple of years. They include furniture, paintings, ornaments, silverware, jewellery, framed film posters, a folding bicycle, several old style gramophones, a CB radio and more. To help identify the stolen goods there is the hotline 01986 835319 and they will be available to view by appointment early next month.